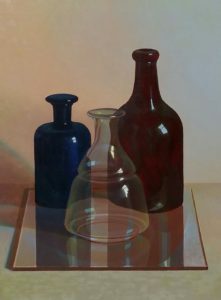 Gallery ‘Het Blaauw Laaken’ organizes this Spring a group exhibition with works by Kees Bol, Henri Bol, Bodi Rongen, Ingrid Smuling, Judith Neet, Ger Stallenberg, Carel Huls and Frans Manders. The exhibition is open throughout the Spring. Opening hours are from Thursday to Sunday from 13.00 to 17.00 hours and by appointment. Gallery ‘Het Blaauw Laaken’ organizes this Winter a group exhibition with works by nine artists who are associated with the gallery: Ger Stallenberg, Frans Manders, Carel Huls, Judith Neet, Ruud Verkerk, Kees Bol, Henri Bol, Frans van Oirschot and Nanny Luijsterburg. The exhibition runs from December 22nd until February 28th 2017. Opening hours are from Thursday to Sunday from 13.00 to 17.00 hours and by appointment. 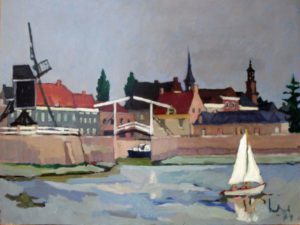 Gallery ‘Het Blaauw Laaken’ commemorates this year what would have been the 100th birthday of artist Kees Bol (1916 – 2009). The exhibition consists of carefully selected landscapes, still lifes and portraits. Which show that he was a unique artist. Adverse to all modes Kees Bol remained faithful to his work in which expression, color and imagination were crucial. The exhibition runs from September 18th until December 18th 2016. Opening hours are from Thursday to Sunday from 13.00 to 17.00 hours. Every year gallery ‘Het Blaauw Laaken’ organizes a Summer group exihibition. 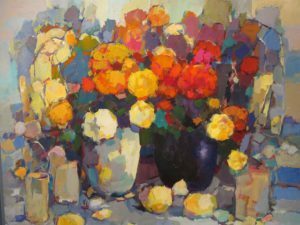 This year an exhibition with artists with whom the gallery has been working for years. 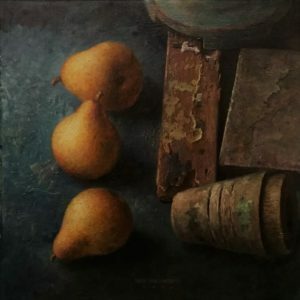 On display: landscapes and still lifes by renowned artists sucha as Henri Bol, Kees Bol, Frans Manders, Carel Huls, Ingrid Smuling, Ruud Verkerk, Nanny Luijsterburg and Harm Visser. The exhibition runs from July 2nd until September 11th 2017. Opening hours are from Thursday to Sunday from 13.00 to 17.00 hours and by appointment.